Customers will love this little bottle of sunshine lotion this summer. It shimmers with gold sparkle mica and is scented with Forever Sunshine Fragrance Oil. 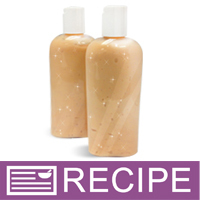 Create gold shimmery lotion with this easy lotion making project. 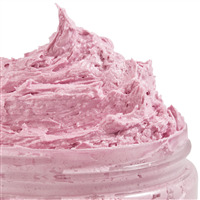 The recipe uses a basic lotion base making this effortless to make. All that's needed is to incorporate the additives and package. This project comes with clear plastic bottles with white disc top caps for packaging. If selling these, finish by adding a label. You Save $41.90 by purchasing this kit rather than buying the items separately. 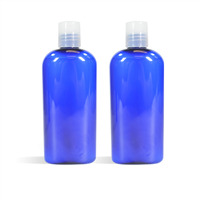 Water, Cetearyl Alcohol, Glyceryl Stearate, Polysorbate-60, Stearyl Alcohol, Sunflower Oil, Allantoin, Propylene Glycol, Isopropyl Palmitate, Petrolatum, Diazolidinyl Urea, Methylparaben, Propylparaben, BHT, Carbomer, Benzophenone-4, Stearic Acid, Fluorphlogopite, Titanium Dioxide, Iron Oxide. COMMENTS: I liked this product as I am new to the soap/lotion business. the directions were easy to understandable; thankfully yours mentioned to heat up...life saver. COMMENTS: Perfect addition to my collection of lotions! Screams Summer!! COMMENTS: Making this lotion was so much fun and left our house (and us) smelling so good! The directions are simple and straight forward and the Forever Sunshine oil leaves a light scent on your skin that is truly like sunshine in a bottle. The only thing that proved difficult was getting the lotion into the bottles. Luckily I have pastry bags with writing tips that did the trick! The light shimmer and sunshine-y scent is the perfect addition to my lotion line! COMMENTS: My 3 year old Granddaughter wanted to make my Mother hand lotion for Christmas. My Mother is allergic to everything. After looking for weeks on the internet on how to do it, we found WSP. We have been over joyed with not only the prices, but the amazing support and over all knowledge base WSP provides. (Long story short:) My 3 year old was tickled pink that she was able to wear all her protective gear and be able to still help make the present. She got to stir & had the biggest smile on her face ever while doing it! Thank you so VERY much WSP for making a 3 year old's Christmas the best one ever!!! Bella says a huge thank you & sends big hugs to all of you from her!!! We are now looking into starting our own bath & beauty shop. (insert big smiles here) A most wonderful Christmas to all of you from Bella & me (insert big hugs here). P.S. We also purchased the *Baby fragrance to use instead of the one that came with the kit. We did use the fragrance from the kit & made Bella's Mom lotion, but used a little bit of green locking oil mica powder. That one came out great too! COMMENTS: so easy to put together and looks so pretty in the bottles! "Can I add base oil in this recipe? Like avocado oil or apricot kernel oil or coconut oil etc?" Staff Answer The lotion does have sunflower oil already added to it. 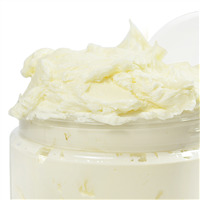 We would recommend adding only about 1-2% of an oil so you do not break the emulsion of the lotion. "Forever Sunshine fragrance has a high enough vanilla content that I would be tempted to use the Vanilla Color Stabilizer for lotions. If I don't, will the lotion change color over time with out the stabilizer? " Staff Answer We recommend using the stabilizer with any vanilla content as the color will darker or turn brown over time. "What is the wattage of the microwave you use for recipes? Mine always seems to take way longer to heat things than what is in the recipes. I'm just curious for when I purchase a higher wattage microwave in the future. Thanks!" Staff Answer Our microwave is 900 watts, but when this recipe was written we had a different microwave. I'm not sure what the wattage was on that one. "Does using the mica powder impart a shimmer on the skin or is it just for look of the product...I see a review that a customer used green mica powder & I certainly wouldn't want a green shimmer, but for summer a healthy golden shimmer would be so pretty if the lotion left that on the skin. Thanks"
Staff Answer Yes, the mica in this recipe does leave a beautiful bronze shimmer on the skin. It's one of my personal favorites for summer. "Once the lotion made, where should I keep it before using it or selling it ?" "Can I substitute the fragrance oil by essential oil and if so in what quantity?" You can substitute EO for FO in the recipe. The usage rate is based on IFRA guidelines provided on the EO's page.